If you’re considering a home renovation, then you probably have a good handle on why you want to remodel. Maybe you need more space for a growing family, want to modernize your space, increase your home’s value, or all the above and more! What many homeowners find more difficult is figuring out how to finance the project. Because, while remodeling your home is a very worthy investment, you don’t want it to completely break the bank. Thankfully, you have a lot of options. How much does a home remodeling project cost? Before you can look at financing options, you need to understand how much your home remodeling project will cost. Most experts suggest setting a budget equal to 10% or more of your overall home’s value to make a difference in the home. This will help you realize a return on your investment down the road if you ever decide to sell. Whatever your budget, it should be set carefully and strategically based on your needs. It’s okay to have a price range in mind, but working with a reputable design-build firm will help you nail down the specifics. All these factors will help us come up with a budget that you feel comfortable with and will give you the desired end result. 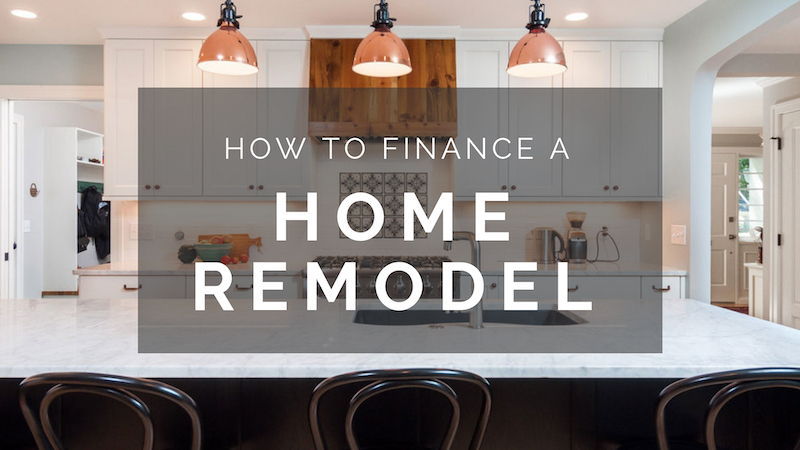 Now comes the fun part: determining how you will finance and pay for your remodeling project. People today finance home-remodeling projects in many ways — from personal savings to bank loans. In the past, obtaining money for a home remodeling project was tricky, but today there are many options available. Understanding the various choices will help you make the best decision for both your wallet and your house. Cash is obviously the simplest, most effective way to pay for your remodeling project, since you won’t be beholden to a lender. Even if you don’t have the full amount in cash, consider paying for a portion of the cost out-of-pocket, if possible. Not the most attainable option for the majority of homeowners. Those who have enough equity in their home often consider a cash-out refinance. This involves refinancing your existing home loan for an amount that’s higher than what you owe. With this, you would pay off your original mortgage and have some cash left over. Try this refinance calculator to see if refinancing makes sense for you. This is the classic method for financing home renovations. This type of loan allows you to keep your original mortgage (which may be beneficial if it has a low interest rate) and is taken against the equity in your home. A HELOC is similar to a home equity loan. The big difference is instead of receiving a fixed amount in one lump sum, this method allows you to borrow only what you need. During the draw period, you will make interest-only payments. This loan is similar to a HELOC, but is meant for those that are age 62 or older and have equity in their home. This type of agreement requires that you relinquish equity in your home in exchange for regular payments. When it comes to any loan, rule # 1 is to always comparison shop! This article is meant to provide you with an introduction into the many options available for financing your home remodeling project. However, as with any big financial decision, it’s important to do your research. 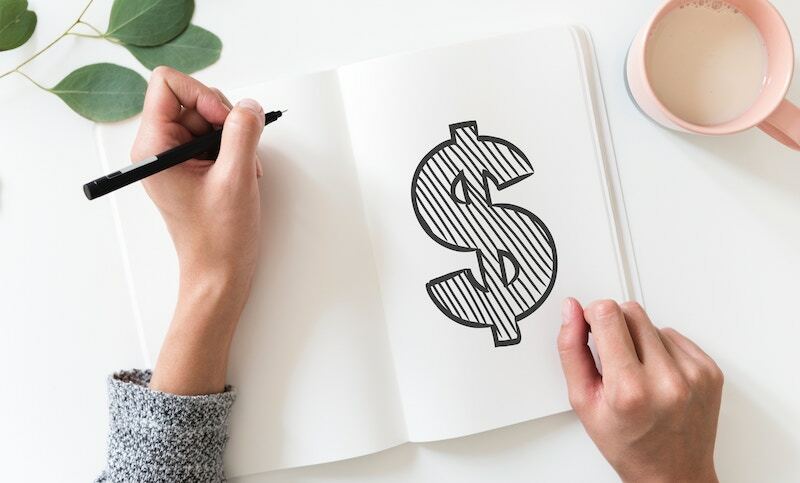 It’s a good idea to explore a few of these options listed above and talk to your financial counselor or bank to ensure you’re making the best decision for you and your family. At Forward Design Build Remodel, we understand that finances are an important part of planning your home remodel, and we’re here to make that easier. We offer free initial consultations to meet with you in your home and get to know your vision. Our goal is to understand your budget and the scope of your project. We’ll evaluate your needs and provide you with an initial budget range within the first couple of meetings. Our fixed-contract approach allows you to feel confident about the final total cost of the remodel and thus determine the best financing method to fit your needs. Do you have questions? Learn more about our process!